Challenge . Fall . Fall look . Matte . MoYou London . Nail Art . 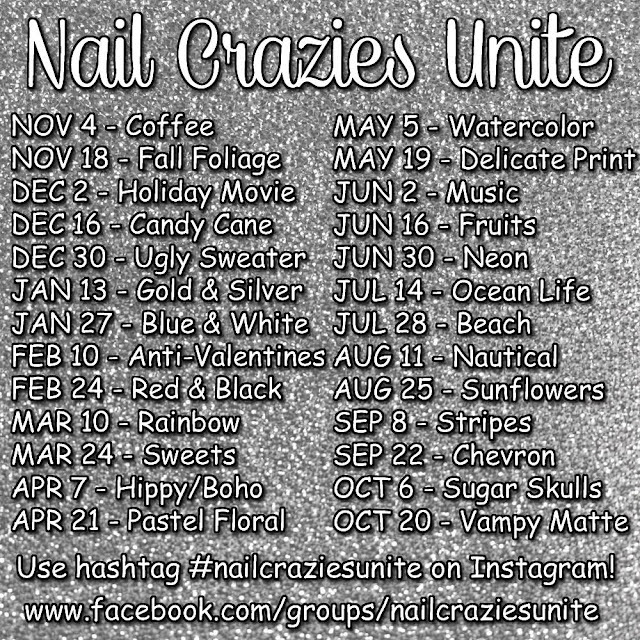 nailcraziesunite . Purple . Stamping . Zoya . I hope you are all having a great weekend. As every Saturday I'm sharing here a new nail art, this time I have "Vampy Matte" nails for the Nail crazies Unite nail art challenge. This is the LAST theme for this challenge! I can't believe this challenge is also finished. I would love to join new challenges soon to keep posting crazy manicures here, but would YOU like to see nail art around here more often? Let me know! I had very little time to do this manicure, and I really rushed it. It is a very simple stamping over a matte polish base, but somehow I managed to ruined it TWICE, in two different fingers and had to start over, so it took me forever. Normally, If I wasn't rushing, I would do this manicure in 10 minutes. But as I was in a hurry it took me one hour. You know what they say, but I never learn. I first applied a basecoat and didn't let it dry enough, so my matte nail polish looked horrible on it, I thought, a second layer would fix it, but it didn't, so I did a third layer, which just worsen everything. I took it off and started again. I applied Zoya basecoat, let it dry enough. Then applied two coats of the beautiful matte shade Zoya Harlow... and tried to stamp when it seemed dried. Well, it wasn't dry ENOUGH. My manicure had 300 dents everywhere, was pretty horrible. So I took it off and started again... The third time is a charm, I did everything being sure of waiting enough for the polish to be dry, and stamped with Born Pretty Store Black nail polish and the beautiful BPL-027 stamping plate. What do you think of these nails? Do you like matte nail polish? Don't forget to pay a visit to my challenge mates in the list below!! Have a wonderful weekend, and don't forget to enter my giveaways!! There are currently two Giveaways going on, check below the forms to enter!